Puttur, Oct 15, 2016: Padumale in Puttur taluk, the birthplace of Koti-Chennaya, legendary twin heroes characterized in the Tulu epic of the same name, is all set to get a facelift with a Garadi and other renovation works. 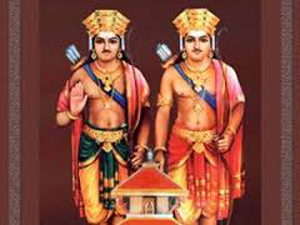 According to history, the twin brothers lived in Tulunadu between 1500 to 1600 AD. After their heroic death in a combat with King Perumal Ballal, their birthplace ’Padumale’ was deserted for nearly 500 years. "Though 262 Garadis (memorial temples) exist across undivided Dakshina Kannada, Kasaragod and Mumbai, it was not established at their birthplace. Having a temple dedicated after them was their last wish made at the brink of their death. However, due to various reasons, it could not be fulfilled and now, we have come forward to fulfil their last wish," said K Harikrishna Bantwal, president of Koti-Chennaya Janmasthala Sanchalana Samiti. Harikrishna added that Koti-Chennaya are considered as warriors and now, many worship them as supernatural beings. People believe that as their wish was not fulfilled, around 30-40 acres of land in and around Padumale has become unfit for any cultivation or developmental works. During the Asthamangala (astrology) questioning, it was revealed that place will prosper only after building a Garadi and holding ’Nemostav’ every year. The birthplace of warriors—Padumale, is currently owned by wife of actor Vinod Alva and they have agreed to donate about 1.5 acres of land. "The entire place will be developed through the contribution from community leaders," he added. What development has been taken place and what is the status now? ?